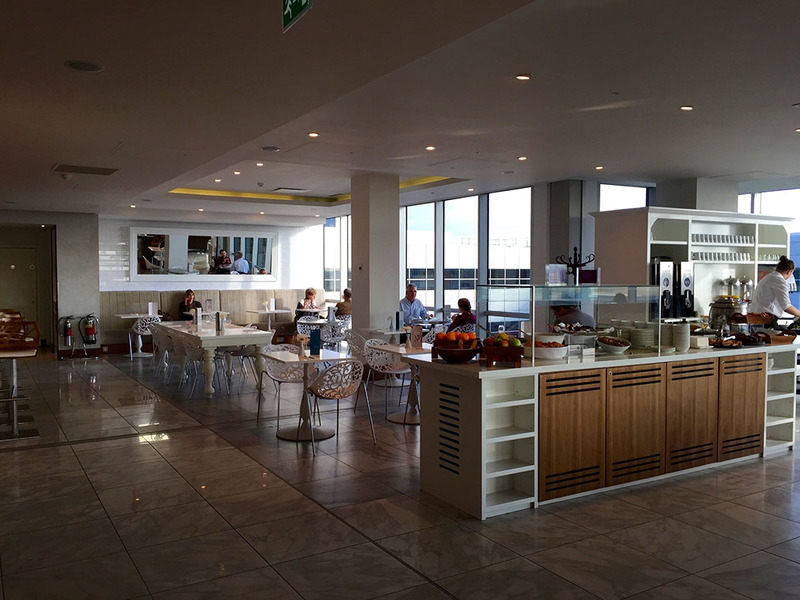 The No1 Lounge in Gatwick’s North Terminal is in my opinion, the best airport lounge in Gatwick North Terminal. 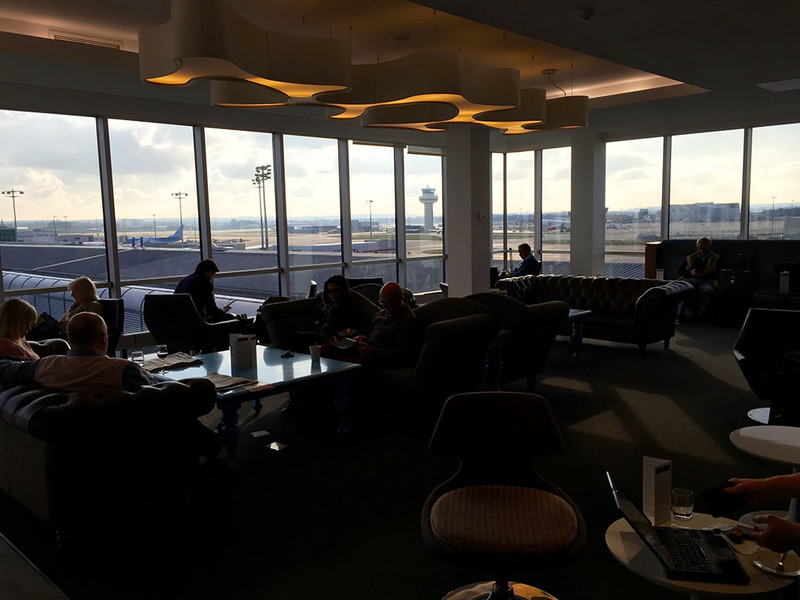 In my review below I outline exactly why this lounge is better than the other Priority Pass lounge options. 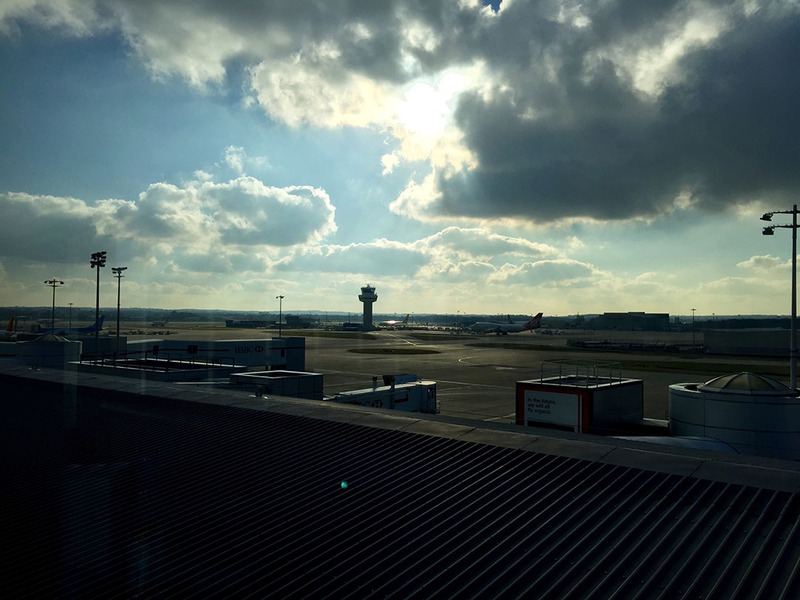 This is the only Priority Pass lounge in Gatwick North Terminal with a decent view across the runways (see pictures). 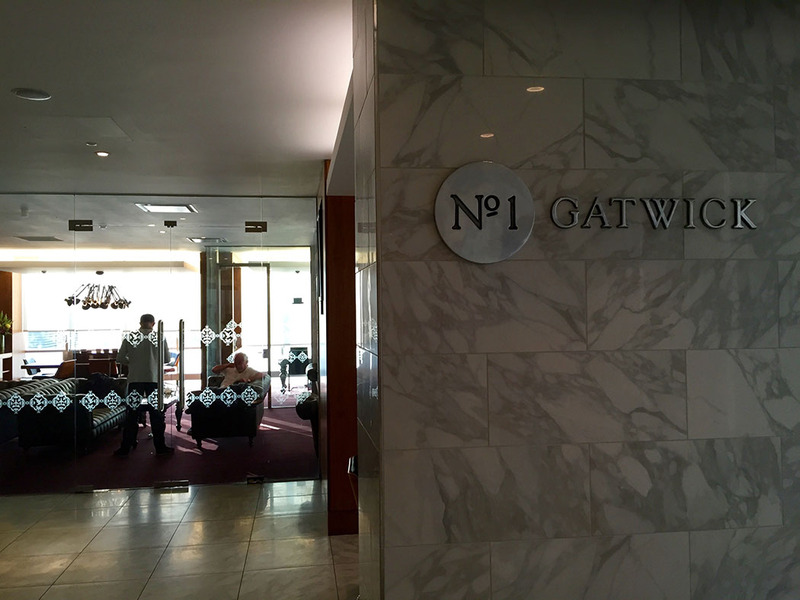 The other lounges in Gatwick North face onto airport roads. 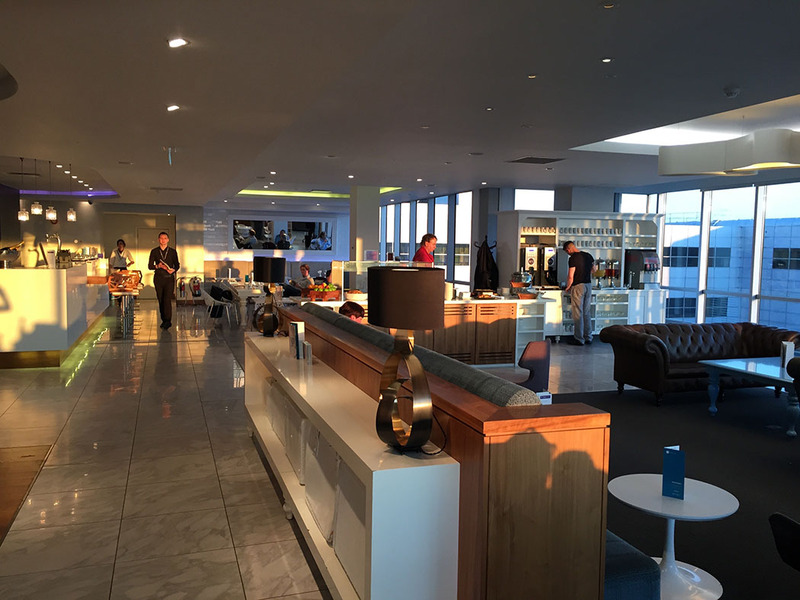 This is the largest of the three lounges you can access with a Priority Pass. It is light and airy. 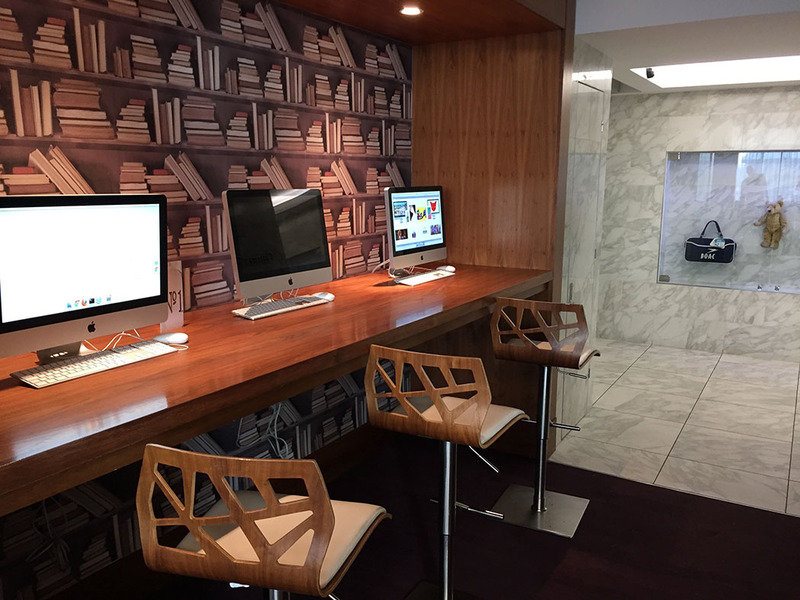 These are spacious and have nice amenities, much better than using the main airport toilets. There is a Cinema and a todler play area which are both a nice feature to amuse the kids. 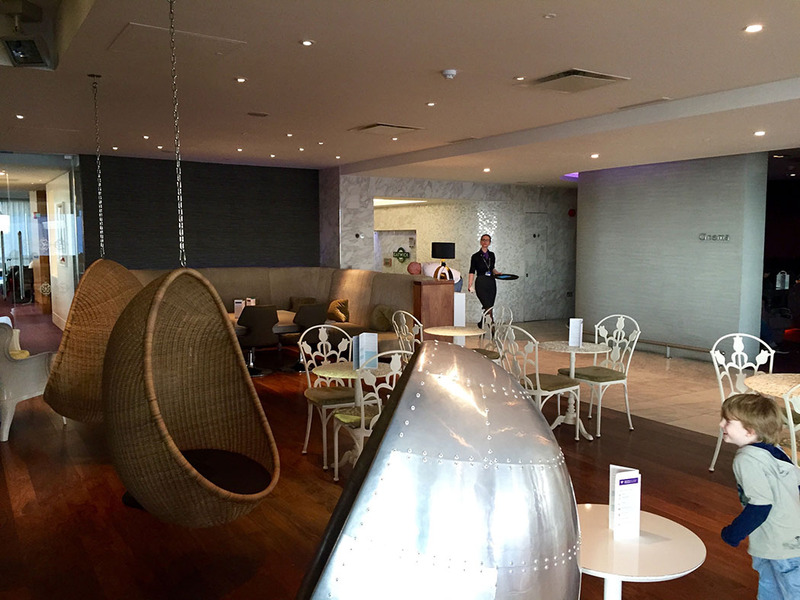 There is plenty of seating in this lounge. 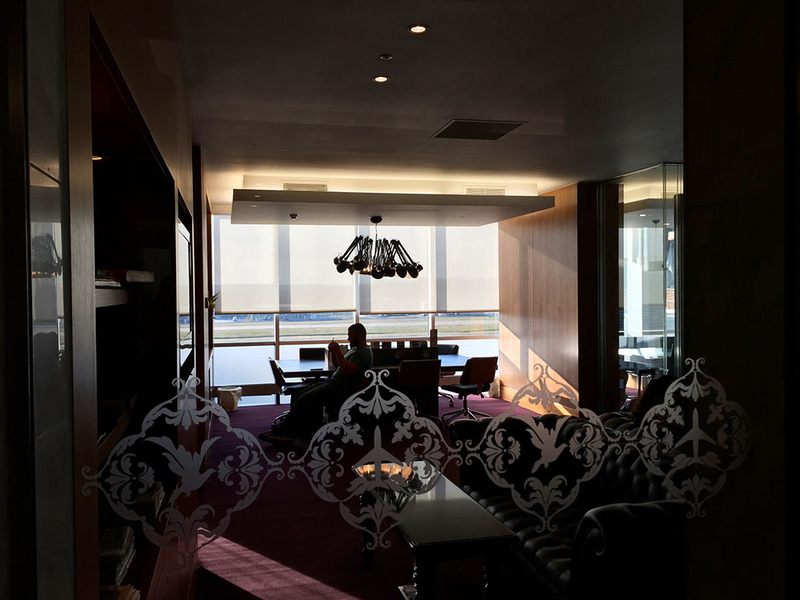 I prefer the boxy seats by the window so I can watch the sky and planes, but there are plenty of larger booth sofas, a cafe style seating area with sit-up seats and higher tables, some quieter zones with softer low sofas, a business area with computers and even a couple of swing seats hanging from the ceiling. The food here is good. 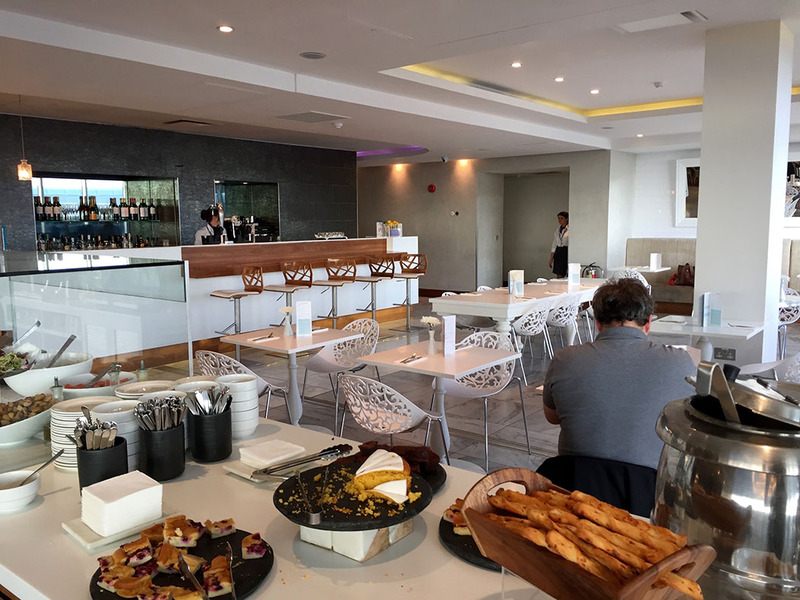 There is a large choice of salads, breads, soups and deserts in the main area offered as a buffet, plus an a complementary hot a la carte option which used to include fish, chips and mushy peas that was always a hit. 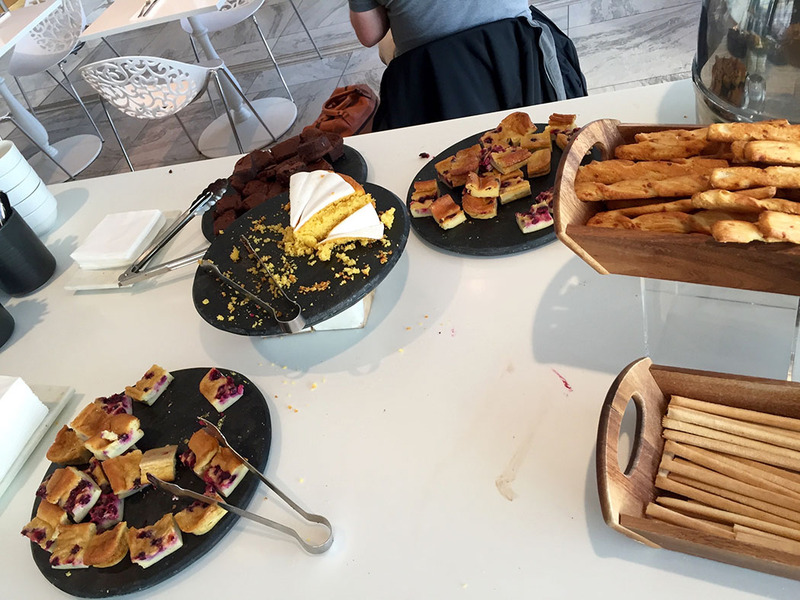 At breakfast there is an equally good pastry spread. There is a large selection of alcoholic and non alcoholic drinks but no cans of coke or bottles of water. Everything comes out of a tap and is virtually flat. This is the one feature I don’t like about this lounge. 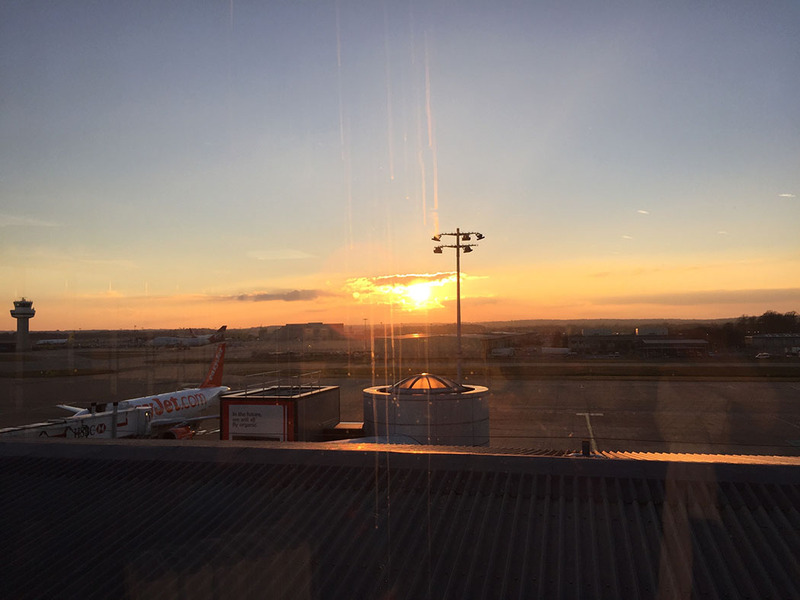 If you liked this review you may be interested in my other airline reviews and airport lounge reviews.